Remember those new TRP brakes we spotted at last year’s Eurobike show? 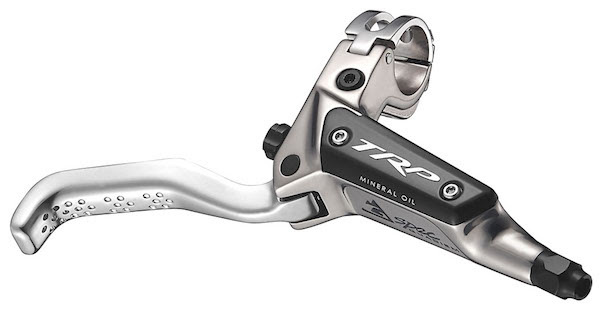 Looks like they’re finally ready for production, with TRP announcing the new G-Spec versions of both the Slate and Quadiem hydraulic disc brakes. 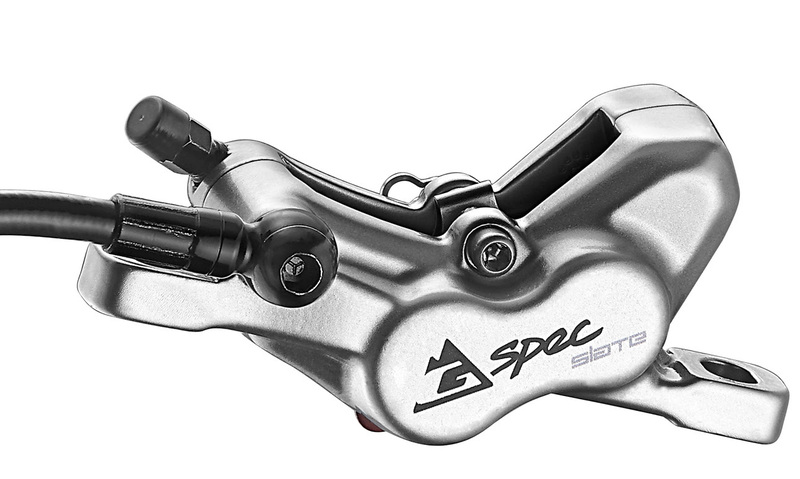 Designed in conjunction with Aaron Gwin, the G-Spec brakes offer improved ergonomics at the lever with drilled texturing along the outside of the lever blade, as well as a tools-free adjuster dial for altering lever reach. For the G-Spec Quadiem, there’s a refined calliper that uses machined fins to aid with cooling to keep the internal mineral oil from heating up during extended downhill braking. Most of the changes in the G-Spec TRP brakes occur at the lever end. 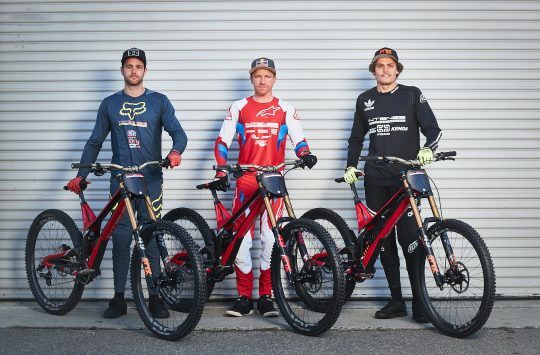 “In 2016, TRP began working with reigning world cup champion Aaron Gwin. Out of the gate, he was impressed with the initial level of performance, but he did have a list of improvements needed to achieve world cup winning performance. Working closely with the TRP development team, improvements were made in nearly every part of the brake and tested on the world cup circuit throughout the season. The result is G-Spec, Aaron Gwin asked and we delivered on every detail. Designed in collaboration with World Cup Champion Aaron Gwin the Slate G-Spec adapts those details to our light Slate brake.” – TRP. 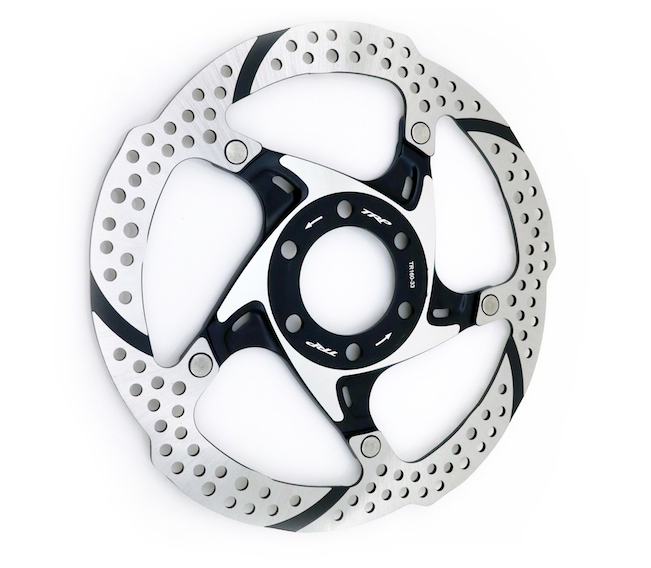 The Slate is TRP’s trail brake with a quad-piston calliper for a combination of power and modulation. 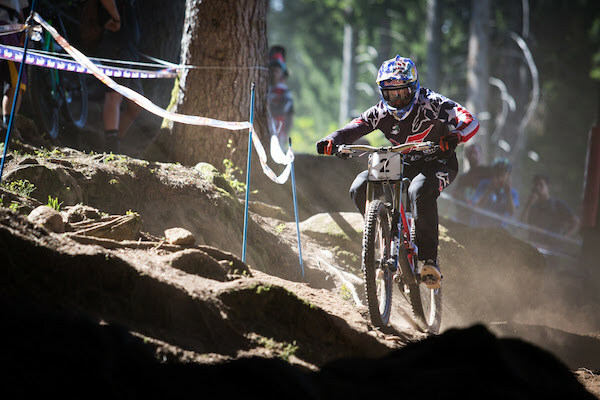 Aaron Gwin’s brake of choice for World Cup DH racing is the TRP G-Spec Quadiem. “Designed with four-time downhill World Cup Overall Champion Aaron Gwin during his successful 2016 season, the G-Spec Quadiem is feature-packed. The caliper has been upgraded with composite/steel hybrid pistons and machined with cooling grooves – providing improved heat dissipation for great performance during hard-on-the brakes descents. Internal caliper pad tolerance is tighter, removing free-play, for further improving braking efficiency. The distinctive new drilled lever blades offer greater feedback and security, and the indexed tool-free reach adjustment feature makes fine tuning lever reach easier than ever. To top it all off, the G-Spec Quadiem is made from forged aluminum that is then CNC’d, polished, and anodized for an elegant, long lasting finish.” – TRP. Machined fins to help dissipate heat under extended downhill braking. New 2-piece rotor to match the G-Spec brakes. TRP also has a new 2-piece disc rotor to match the G-Spec brakes. Using an alloy centre carrier and a drilled brake track to improve ventilation, the 2-piece rotor design aims to strip more heat away from the stainless steel braking surface. Available in 6-bolt and Centrelock versions in 140mm, 160mm, 180mm and 203mm diameters. Enough about brakes. 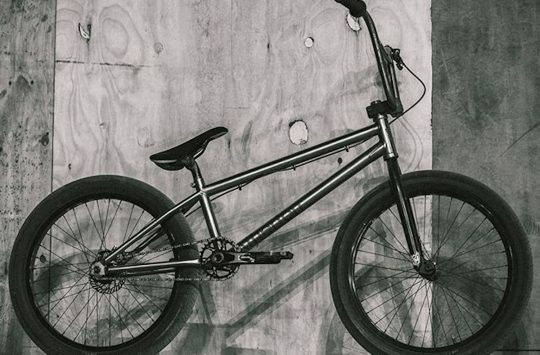 Here’s a photo of Aaron Gwin. Check out TRP Brake website for more information about the new G-Spec disc brakes, and get in touch with UK Distributor Upgrade Bikes for local pricing and availability.